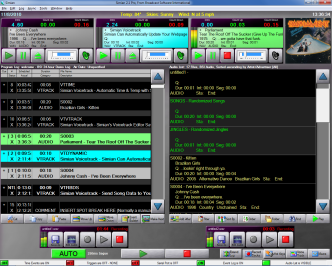 The most feature rich version of Simian ever, with all new streaming and metadata features. See our What's New page for information on the changes in this version. During our own in-house tests (using our recommended hardware and network configuration) Simian has been running fully automated, performing a number of standard tasks, in excess of 500 days without error or reboot. Click Here to see our current test system, real time! Some of our customers find Simian more reliable than their local power company! Customer Comment: I get about 120 days between power company supplied reboots. 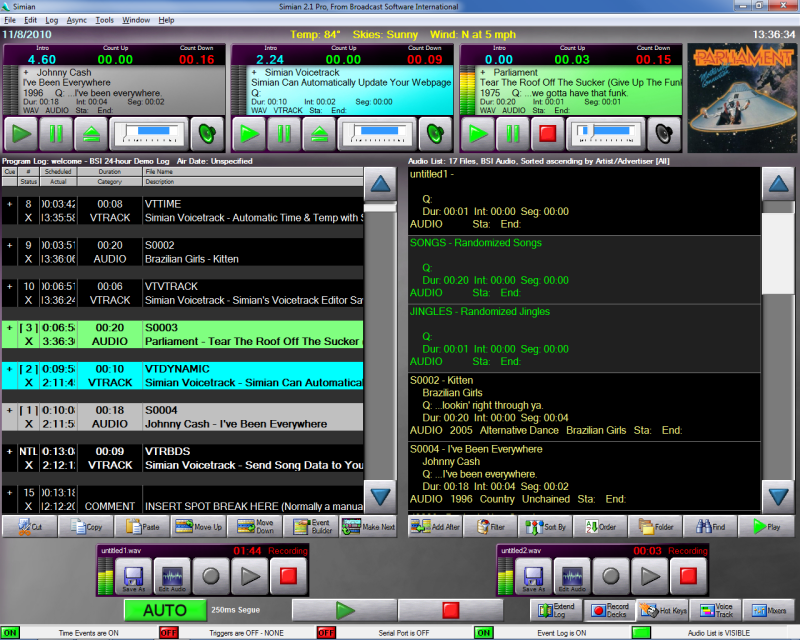 Simian 2.3 is a fully featured, professional radio automation and computer playout system for Radio, Internet and Satellite Broadcasting. Customer Comment: Just wanted to say that Simian is ROCK SOLID!! I'm asking it to do a hell of a lot and it hasn't let me down once. Simian 2.3 PRO comes at very affordable price. View our Purchase Page for pricing information.